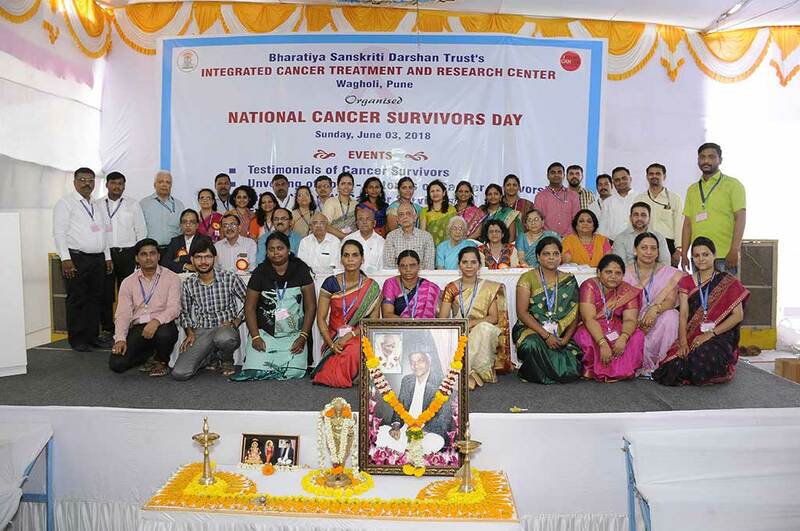 Cancer Survivors Day | Cancer Research Project - Ayurved Hospital and Research Center - Bharatiya Sanskriti Darshan Trust . :Ayurveda for Cancer:. “National Cancer Survivors Day” is an event celebrated in hundreds of communities nationwide, and around the world, on the first Sunday in June. The aim for organizing such an event is to acknowledge cancer survivors and to appreciate their optimistic approach towards life. 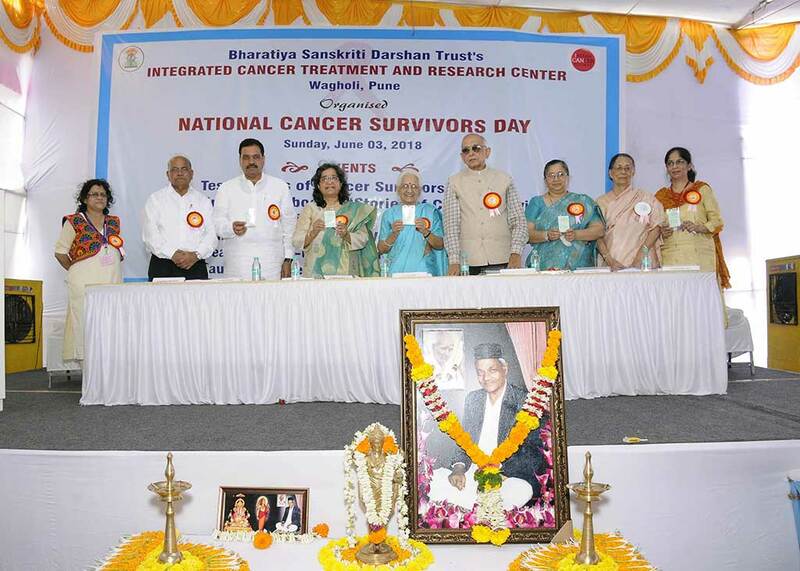 On the occasion of “National Cancer Survivors Day” Bharatiya Sanskriti Darshan Trust’s (BSDT) Integrated Cancer Treatment and Research Centre (ICTRC), hosted an exclusive program for cancer patients on Sunday, 3rd June 2018 at Wagholi (Pune centre). 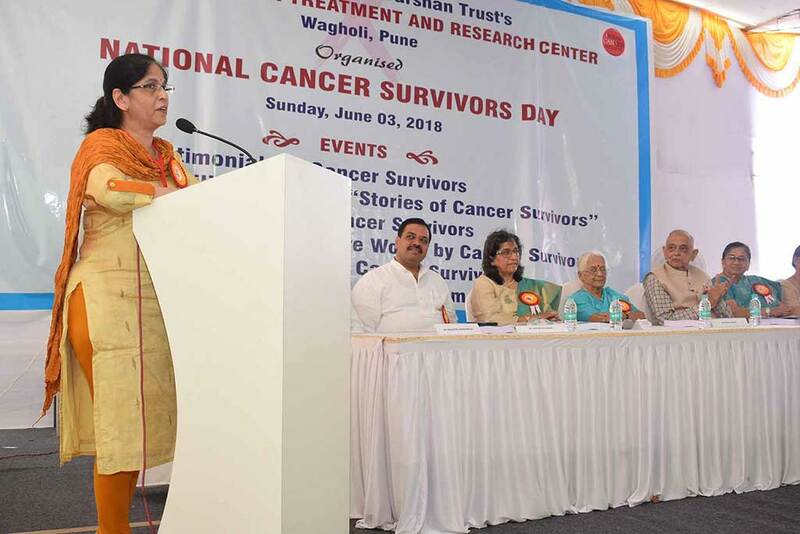 In total 111 Cancer survivors from our various centres – Pune, Mumbai, Nashik, Kolhapur, etc attended this event. Few of them were accompanied with their family members. In all about 350 people were present for this occasion. The dignitaries present for the inaugural ceremony were Respected. 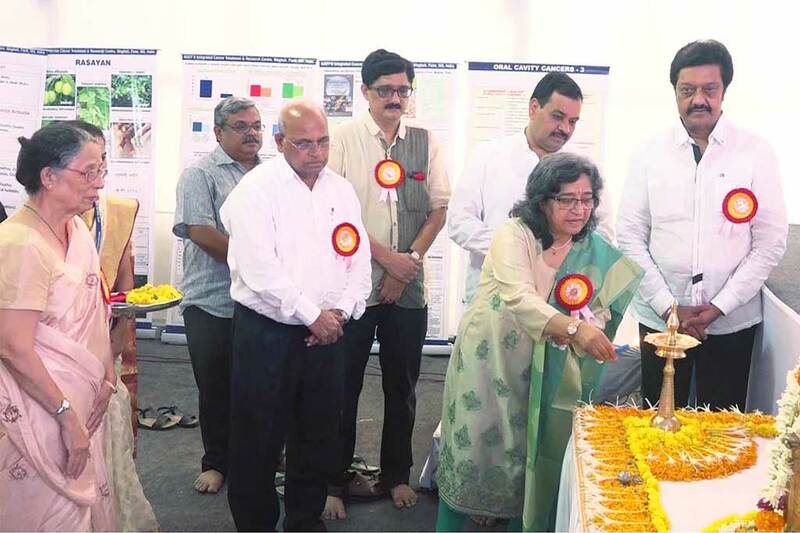 Mr. Anilji Shirole (Member of Parliament) as the Inaugurator; Dr. Shubhada Chiplunkar (Director, Advanced Centre for Treatment Research and Education in Cancer – ACTREC) as Chief Guest; Dr. Nishigandha Naik (Director, Haffkine Institute), Dr. Rajani Bhisey (Proficient Molecular and Cell Biologist) and Mr. Rajeshji Pande (President, National Yuva Co-operative Society Ltd.) as Special Guests; Dr. Sudha Gangal (Research Adviser, ICTRC), Dr. Vidya Gupta (Senior Scientist, National Chemical Laboratory, Pune), Dr. Arvind Kulkarni (Director – Oncology, ICTRC) and Dr. S. P. Sardeshmukh (Chairman – BSDT and Director – ICTRC). The program was inaugurated by hands of Resp. Mr. Anilji Shirole by lightning the lamp, offering prayers to Lord Dhanwantari and seeking blessing of Parampoojya Prabhakar Sardeshmukh Maharaj. A cancer survivor from ICTRC, Mumbai centre welcomed all the guests and the patients with a melodious song. Mr. Anilji Shirole during his inaugural speech appreciated the extensive work being carried out by ICTRC and also expressed his best wishes for further growth and development. 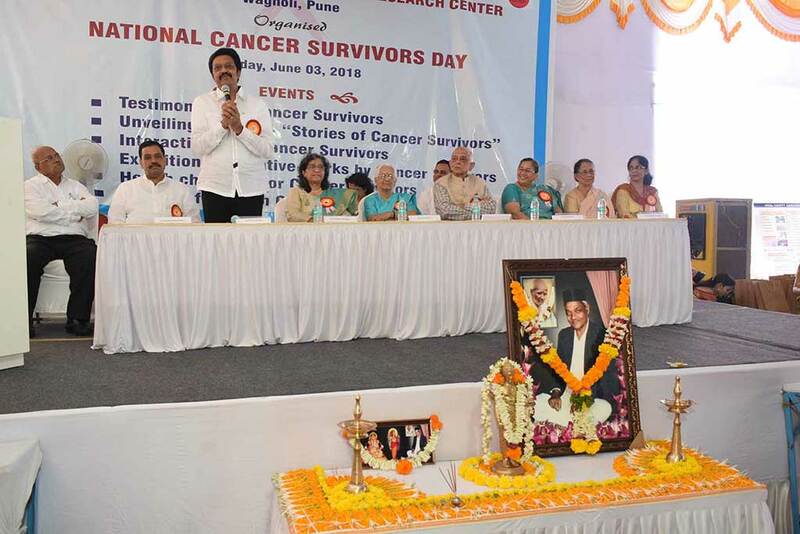 Dr. Arvind Kulkarni explained the ideology of Revered Sardeshmukh Maharaj in initiating Cancer Research Project and also told that this event is indeed a very joyful experience. On this occasion, the launching of Health Card was done by the hands of Dr. Rajani Bhisey. The health card scheme, undertaken by the trust, will provide 25 % concessions in pathological investigations and Panchakarma treatment to the cancer patients of ICTRC. 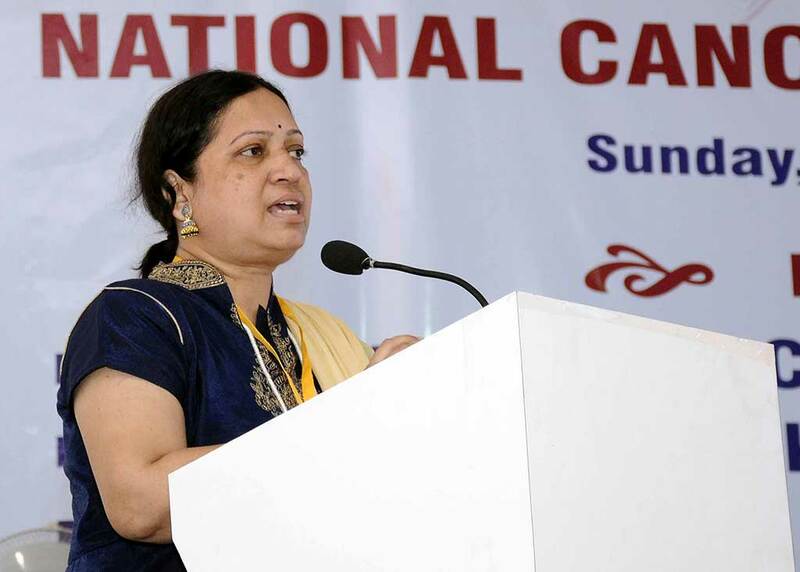 Dr. Nishigandha Naik admired the perseverance and optimistic attitude of all the cancer survivors present for the event. Dr. Shubhada Chiplunkar, Chief Guest, appreciated the endurance and heroic outlook of all the successful cancer fighters. This was followed by felicitation of the dignitaries. Dr. Arvind Kulkarni and Dr. Sudha Gangal felicitated our Chief Guest, Dr. Shubhada Chiplunkar. Mr. Anilji Shirole was felicitated by hands of Dr. Shubhada Chiplunkar. Dr. S. P. Sardeshmukh felicitated Mr. Rajeshji Pande, Dr. Vineeta Deshmukh, Deputy Director, ICTRC felicitated Dr. Rajani Bhisey and Dr. Nishigandha Naik. A large number of journalists, who have always been supporting the various activities of ICTRC since last 24 years were also present for this event. They were felicitated by Dr. Sadanand. P. Sardeshmukh. This session of the program was co-ordinated by Dr. Sushrut. S. Sardeshmukh, Trustee, BSDT. On this occasion unveiling of the book, “Stories of Cancer Survivors” was done by hands of Dr. Shubhada Chiplunkar. This book is a compilation of stories of 143 cancer survivors of ICTRC from last 24 years, who had good health benefit and living a good quality of life with our Ayurvedic treatment. Dr. Vasanti Godse explained the idea behind publishing this book. A short documentary highlighting the glimpses of various activities of ICTRC was telecasted just before the starting of second session. In the second session, a special program was arranged for the cancer survivors who had benefitted from our Ayurvedic treatment to share their experiences of fight against cancer. This session began with talk of Mr. Dnyanesh Maharao, Editor of Chitralekha weekly magazine, in which he shared the experience of his own grandmother who was diagnosed with cancer at an age of 90 years in 1994 and the benefits she received after taking Ayurvedic treatment. He truly appreciated the immense contribution of Revered. Sardeshmukh Maharaj and his family in functioning of BSDT and also gave his best wishes for future developments. This was followed by narration of the heart-touching stories about battle against cancer by our brave cancer survivors who are presently leading a good quality life with the help of the integrated treatment. The experiences of the cancer survivors who were unable to attend this event as well as our foreigner cancer survivors were presented on this event in form of audio-visual clip. Amongst these, one of the experiences was of a pet dog, Masti who died of stomach cancer. The owner rather the guardian through an audio-visual clip shared how Ayurvedic treatment was helpful in reducing the side-effects of chemotherapy and increasing the life span of Masti. This entire session was co-ordinated by Dr. Vineeta Deshmukh, Deputy Director, ICTRC and Dr. Vasanti Godse, Assistant Director, ICTRC. In the third session, the cancer survivors exhibited their talents in form of singing beautiful songs, reciting poems, etc. 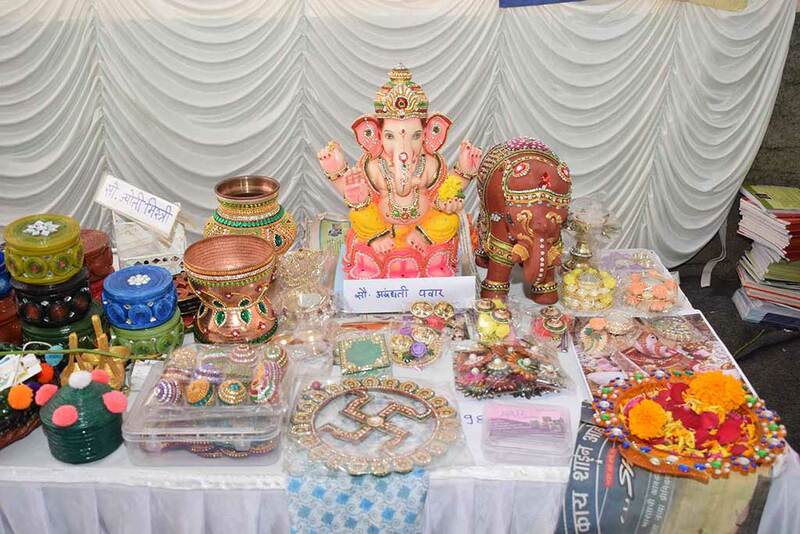 Also, a small exhibition displaying their beautiful creativities was held which contained paintings, drawings, handmade artifacts, food preparations, written articles, poems, photos, etc. This exhibition was inaugurated by Dr. Nishigandha Naik. Dr. Sardeshmukh appreciated all the doctors and all the associated people of Pune, Mumbai, Nashik, Kolhapur, Solapur, Aurangabad and New Delhi who contributed in the successful running of ICTRC. He wished to have more and more strength to do best of the work for the cancer patients. 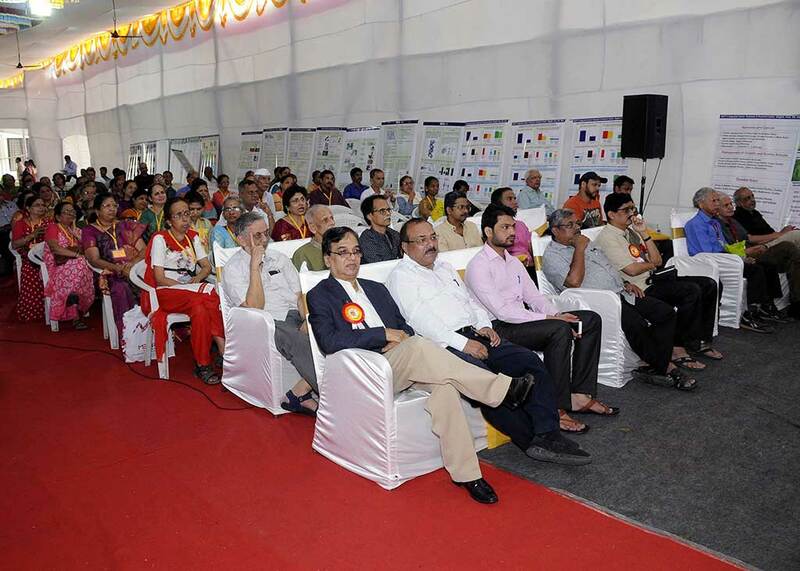 An exhibition on ‘Cancer – Ayurved’ was also held for creating awareness about various aspects of the disease, Cancer. Various books published by the trust, nutritious food preparations and Ayurvedic medicines manufactured by Atharva Nature Healthcare Pvt. Ltd. were displayed for sale. The program concluded by chanting ‘Pasayadan’ which was done by one of the cancer survivors of Pune centre.